This speaks for itself. 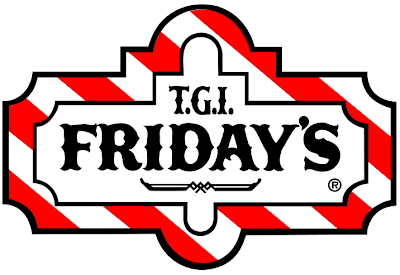 There is a TGI Friday's in Managua. Menu is just like the U.S. They have a nice happy hour from 4-7 p.m. and after 9 p.m. Sunday thru Thursday. Friday and Saturday it starts later. Mmmmm!!! Estas fotos hablan por si mismas. Hay un TGI Friday's en Managua. El menú es igualito al de EEUU. Tienen una happy hour muy buena entre las 4 y las 7 p.m. y después de las 9 p.m. domingo a jueves. Viernes y sábado es más tarde. Mmmmm!!! by the way thank's and i was did it twice your can i know your email? hello friend thx for visit my blog ... i like this article about chicken wing delicious :) keep post ..
i just dropped by to see yer blog,you came by to see me earlier. Antonio, it may 30-45 mins from the airport. Just tell the cab driver, he'll know where it is. Hey what about prices is it the same in U.S dollars like let's say would wings cost 150 cordobas?